Do You Need Salicylic Acid Face Wash? Salicylic acid is related to aspirin and is capable of opening up clogged pores. It also helps relieve redness and inflammation. You can find over 100 facial cleansers that also use salicylic acid as an ingredient. However, it is important to learn the advantages and disadvantages of using a face wash containing salicylic acid before you really take the plunge. Let's find out more about what these products can do for your skin. What Does Salicylic Acid Face Wash Do? With its anti-inflammatory properties, salicylic acid can play a big role in opening clogged pores and reducing redness caused by acne. Regular use of salicylic acid may also help soften up your dry, thick skin to make way for healthier skin. Due to these properties, salicylic acid is an essential ingredient of many products used to treat acne, psoriasis, dermatitis, calluses, and dandruff. Here is how salicylic acid can help improve your skin and reduce skin blemishes. It cleanses your skin: It helps deep clean your skin and removes dead skin cells to leave you with healthy, younger-looking skin. It prevents dryness: Dryness can make your skin look aged and dull, and exposure to sun and stress will always result in dry skin. Salicylic acid cleanses your skin and penetrates deep into the skin to fade the dryness. It exfoliates your skin: Not just it opens up blocked pores, but it also removes dead skin cells and alleviates inflammation in the skin. While face wash salicylic acid can definitely help improve your skin, there are situations when you should use it with caution. It can cause skin irritation, so you should apply it on a smaller area first to see if it causes any negative reactions. It may cause a burning sensation when you first start using it. Avoid it if the sensation persists after some time of use. It can damage your skin if used excessively. Do not use it more than twice a day or use it as prescribed by your doctor. Is Salicylic Acid Face Wash Right for Your Skin Type? It may not work well for you if you have a Hispanic or Mediterranean skin type which tans gradually. You may also use it with caution if you have dark brown skin that tans easily but rarely gets sunburn. People with black skin that tans easily and never burns may not benefit from salicylic acid. Salicylic acid can make people with these skin types to produce more melanin which your skin uses to limit inflammation. Using salicylic acid in this case will leave you with black or brown skin spots. 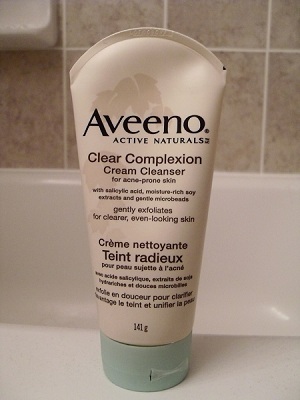 If your acne is serious, you may not get good results from face wash because it does not stay on your skin for long. Instead, try looking for a lotion, cream, or gel with salicylic acid to deal with acne in a better way. When using a product with salicylic acid, it is important to ensure that it is acidic enough to eliminate fats and open blocked pores. If the product does not have a pH of at least 4, it may not prove effective. It is equally important to select a salicylic acid product with the right concentration. Opt for a product that contains 1%-3% of salicylic acid. You may need a product with salicylic acid percentage higher than 3% if you are treating warts. Here are some good options for you to try. Although it does not foam up, it still works because it contains 2% salicylic acid and does not require foaming up to give you clear skin. The good thing is that it is not too drying and is quite suitable for most people. It also contains scrubbing beads that make it great for exfoliation. If you have sensitive skin, you may need to take caution to see if it is too harsh for you. Neutrogena has been offering some high quality skincare products for quite some time now. 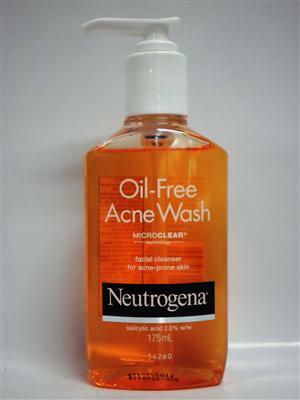 Their oil-free acne wash contains 2% salicylic acid and is an effective face wash for cleansing. It foams nicely and does require a lot of effort when rinsing it off. It is an extremely cost-effective salicylic acid face wash and is available in different scents, including the Pink Grapefruit version. Keep in mind that it may be a bit drying for people with sensitive skin. It is one perfect skincare product for people with ethnic skin. It helps maintain the original tone of your skin while reducing the overall appearance of dark spots. It produces frothy lather and smells great as well. You may find its scent a bit on the sweeter side, but it is not overpowering. People with sensitive skin will also find it quite beneficial mainly because it contains only 0.5% salicylic acid. If you are looking for an anti-aging skincare product with potential to clear adult acne, this face cleanser is just what you need. 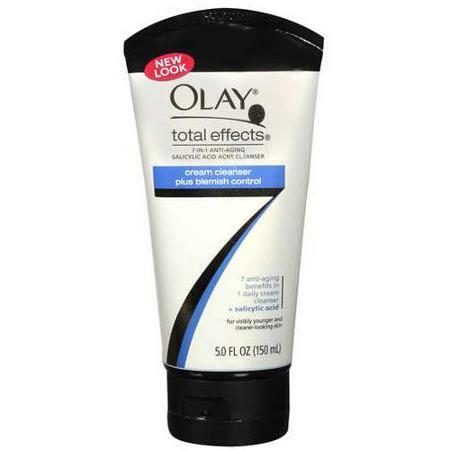 It is a non-foaming cream and is just perfect for people with dry skin. It may not work that effectively on oily skin but it still delivers good results. It contains 2% salicylic acid and has a small amount of scrub in it. It is just what you need if you have oily skin. It foams up well and leaves your skin fresh and healthy. It leaves a cool, mentholated feeling after every use that really makes your skin feel fresh. It is a 2% salicylic acid face wash and also contains eucalyptus and lavender extracts. It smells just fine and does not cost you a lot.